Formulated with keratin amino acids and cystine to repair damaged hair to its natural state. 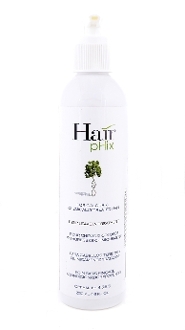 Low pH ( 4.5-5.5) and plant phtosterols prevent environmental damage to both scalp and cuticle. *Works as a great detangler and helps alleviate frizz.